why I'm not too fond of the Festive Season. 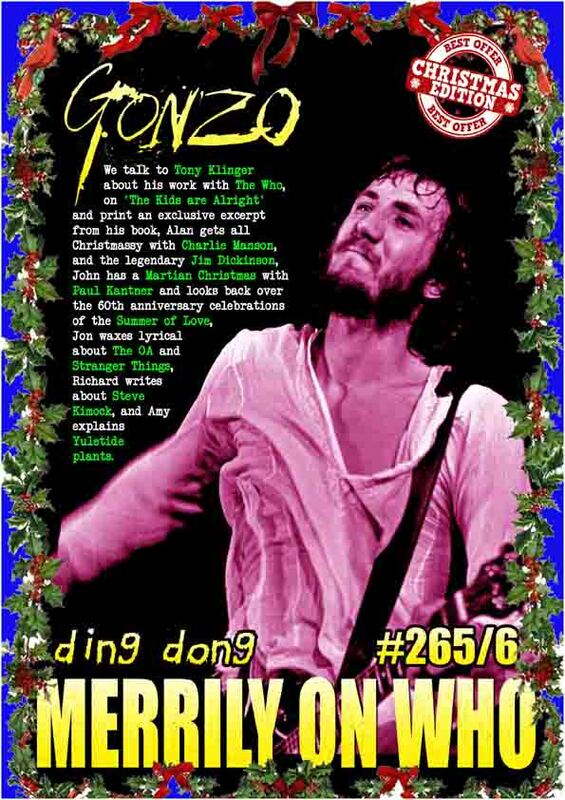 As we approach Christmas, we present a special double issue in which we talk to Tony Klinger about his work with The Who, on ‘The Kids are Alright’ and print an exclusive excerpt from his book, Alan gets all Christmassy with Charlie Manson, and the legendary Jim Dickinson, John has a Martian Christmas with Paul Kantner and looks back over the 60th anniversary celebrations of the Summer of Love, Jon waxes lyrical about The OA, Timothy leary and Stranger Things, Richard writes about Steve Kimock, and Amy explains Yuletide plants. And there are radio shows from Mack Maloney AND Strange Fruit, AND Friday Night Progressive. 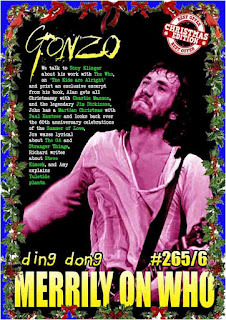 We also have columns from all sorts of folk including Neil Nixon, Roy Weard, C J Stone, Mr Biffo and the irrepressible Corinna. There is also a collection of more news, reviews, views, interviews and southern dibblers who have blown a fuse (OK, nothing to do with small marsupials who are not good at household electrics, but I got carried away with things that rhymed with OOOOS) than you can shake a stick at. And the best part is IT's ABSOLUTELY FREE!!! ON THIS DAY IN - 1830 - South American patriot Simon Bolivar died in Colombia.